A few weeks ago I came across Su-Lin’s blog, ‘Tamarind and Thyme‘; a foodies delight. I was inspired by her blog and decided to try out her recipe for Khao Mok Gai – A Thai Biryani. Since I had never tried Khao Mok Gai I was skeptical at first but all my doubts were put to rest as everyone at home enjoyed it thoroughly. The Thai Biryani is very subtle in taste compared to the Pakistani or Indian Biryani. Having found success with Khao Mok Gai I decided to try Su-Lin’s, Rendang recipe but instead of the regular Beef Rendang I decided to make it with Lamb. I headed over to Big Bazaar very confidently hoping to find some ingredients that we did not have at home and to my surprise they did not carry any of the essential ingredients. My mom came to my rescue as she was heading to Crawford market that very day so she found the ingredients that I needed – star anise, galangal, kaifer lime leaves and lemon grass stalk. It takes a long time to cook as the dish has to simmer for about 3hrs or more and therefore at first I thought that I had gone wrong as the color was yellow but like Su-Lin mentions time is an essential ingredient. The result was delectable and there was just about enough for everyone. 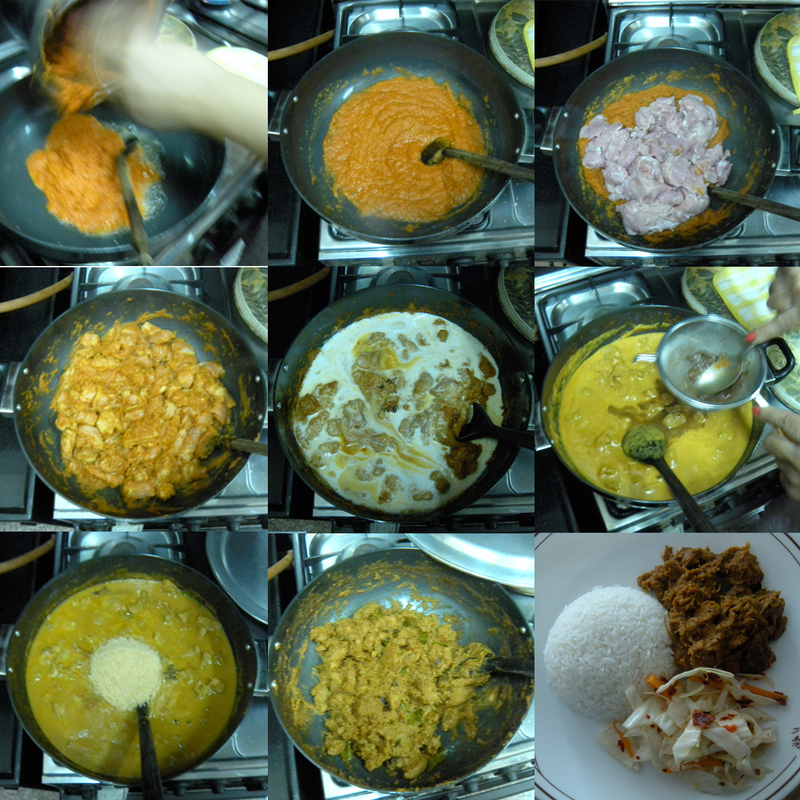 This entry was posted in Culture, Food, Travel and tagged Cooking, Food, Lamb Rendang, Recipe, Rendang, Tamarind and Thyme, Thai Biryani. Bookmark the permalink. You are an ambitious chef, but as always, it looks like you pulled it off! We’ll be missing you this Thanksgiving. but certainly not as innovative or adventurous as you Marc! Miss you and your cakes. I appreciate your blog writing . We are a Sweden based social media company and have clients in India as well as in Europe. I am looking for blog writers to be members of Spot and Tell in India. Thanks 🙂 Sent you an email already.